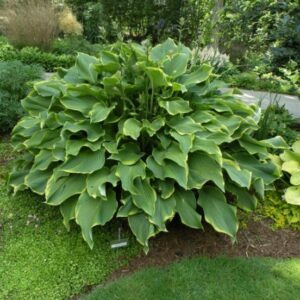 Med/Large: Mound size 20″ high by 55″ wide; leaf color medium to dark green in the center with a 1/2″ wide gold margin; wide (up to 27″ high by 68″ wide); leaves 9 1/4″ long by 8″ wide (11-12 vp); blade broadly oblong-ovate in shape and moderately corrugated; better than average substance. 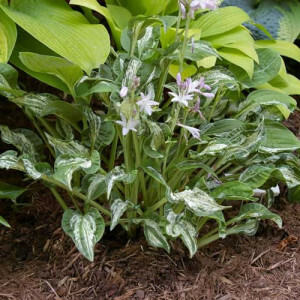 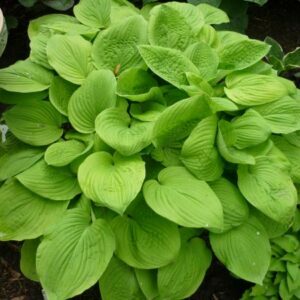 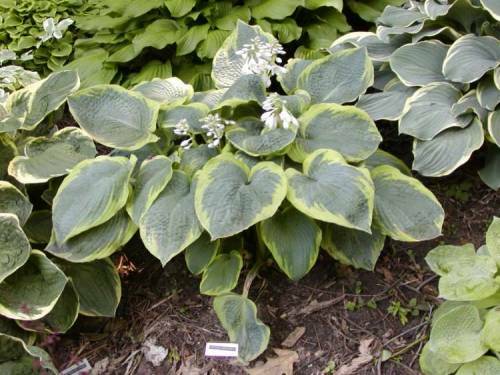 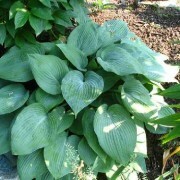 Abiqua Moonbeam’ Hosta is a very vigorous sport of ‘August Moon’. 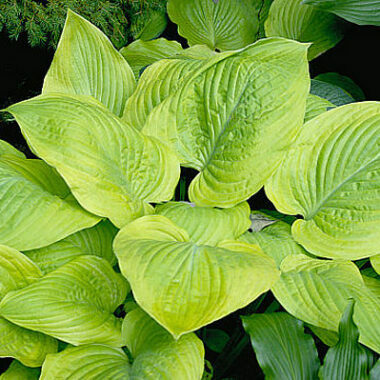 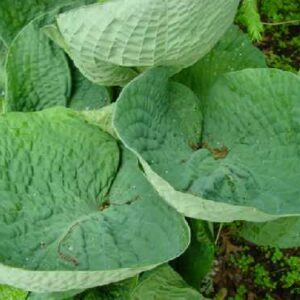 Leaves are blue green with a wide lime gold margin, rounded and slightly corrugated. 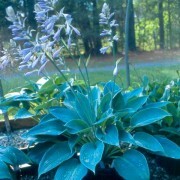 Flowers are pale lavender and bloom in July/August. 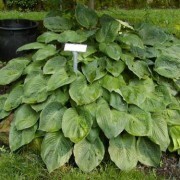 Giantland size clump!